Increases your law firm’s realization and collection rates, while decreasing write-offs! LedesAssist completely automates your UTBMS coding. Combines LedesAssist and BillerAssist into one awesome app! Crowdfunding for lawyers! Confidential, private, and secure. 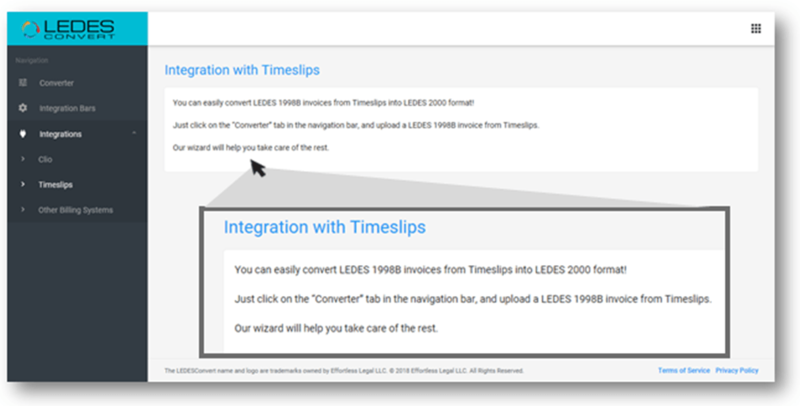 Easily converts legal invoices from one LEDES format to another. Are you a Timeslips user? Lots of our apps work with Timeslips! Works easily with Timeslips! Nothing to install!